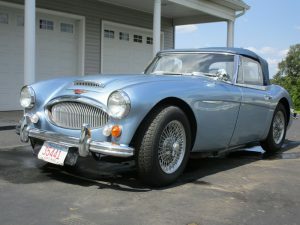 Trying To Sell Your Classic Car? Consider This Resource. What is it worth? How should you price it? Where is the best place to advertise it? Do you know how to screen the calls? 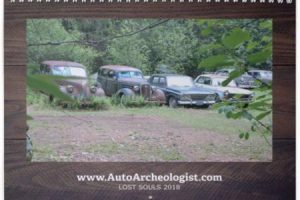 I’ve recently found a resource for this who specializes in classic cars and other special interest vehicles. 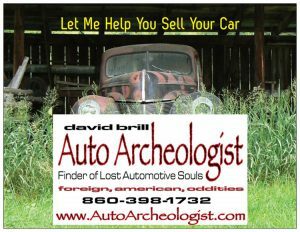 His name is David Brill and he is the Auto Archeologist. David Brill has been buying and selling cars for a long time. 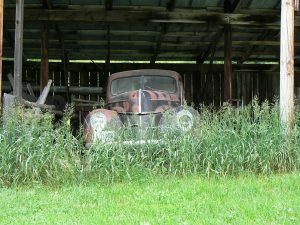 His sense of market value is well calibrated for all types of cars, American, European, Exotics, Muscle Cars, Customs, Pickup Trucks, Unfinished Projects, Parts Cars, etc. David works with a variety of advertising media. He understands that the type of buyer seeking a Ferrari is different from the enthusiast seeking a classic Jeep. As such, they are likely to search in different places too. David knows the best places to advertise your vehicle. Are you good at writing ads? Believe it or not, this has an impact. David will look at the patina on side of your Model A or the wrinkled leather seat in your classic E-type Jag and he will create a word picture in his advertisements that attract buyers the way a steak makes a dog salivate. He’s a good writer but he doesn’t write fluff. He paints honest assessments of the cars he sells while highlighting the relevant details that make your little treasure attractive to the next buyer (0r “conservator” as David puts it. That said, as great as his word pictures are, he takes a ton of actual pictures and uses them to put your car in the right light. Bottom line, the right buyer reading an effective ad will want to see your car. Screening the calls are time consuming. Some callers are pretenders. Some don’t know what the market calls for. Some don’t show after making appointments. David is experienced with this. He knows how to identify the right kind of buyer for your vehicle and knows how to get you a good price. David works on commission. I don’t know all the details but he takes a percentage of the purchase price for his efforts. The difference between a novice like you or me, who sells a car every once in a while, and David, who sells many cars each year, is dramatic. Not only does it show up in the final selling price but also it shows up in how quickly the car moves. Let’s face it. The classic car market is limited. Finding the right kind of buyer is key to moving the car quickly and getting the right price. There is value to David’s efforts. Give David a call today and see what he can do for you. 860-398-1732. Still not convinced? Subscribe to David’s newsletter to see what his other clients are selling and get to know David’s work. « Are You In A Car Club Based In Long Island? Hi David. Thanks for sharing info on challenges of selling a car privately and the benefits of hiring a professional to eliminate all the hassles and to get more money. Another great new resource is called RetailMyRide.com. It is the first and only national directory of licensed dealerships in the U.S. that provide professional consignment services. 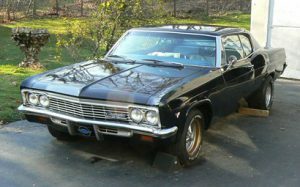 The dealers on RetailMyRide.com will sell your late model, classic, vintage, antique, exotic or custom car, or motorcycle or RV for you. They handle everything from A to Z.